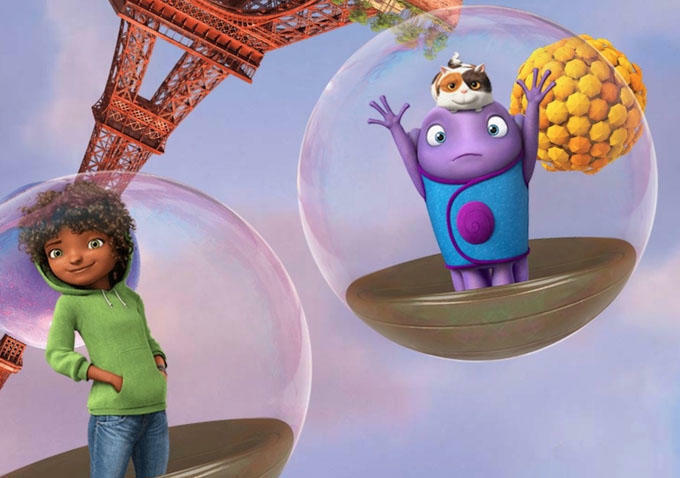 DreamWorks is back doing cultural satire with Home (out in a Blu-ray/DVD/Digital HD combo from Fox Home Ent.). Jim Parsons and Rihanna team up as Oh and Tip in this alien invasion buddy comedy with Steve Martin and Jennifer Lopez co-starring. Extras include “Oh’s Boovy Jukebox” of top tracks, “Feel the Light” music video and lyric video by Lopez, and character drawing tutorials. “When our films work really well, I think they have a component of a wry social commentary,” admitted director Tim Johnson (Over the Hedge). “We get away with some good observations about what makes us tick, and what I liked about Adam’s book was that it was scathingly funny about all of the mistakes that have been made and yet lovingly respectful about what makes humans amazing.